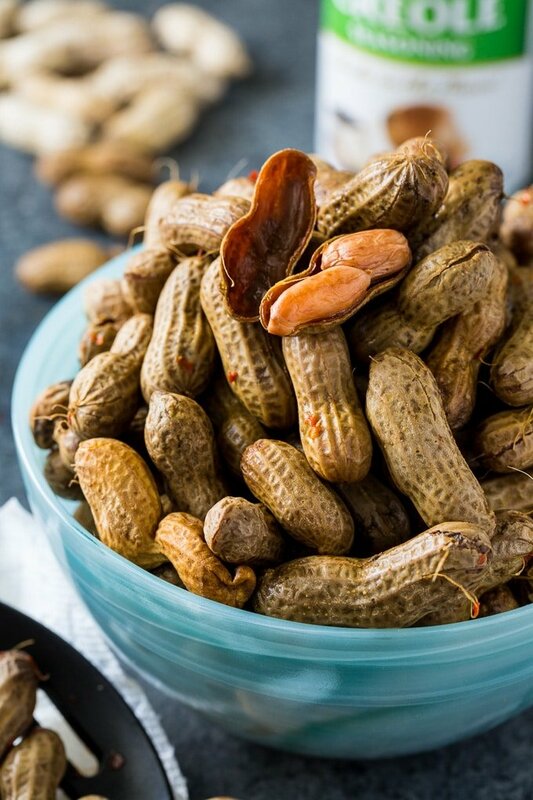 Instant Pot Spicy Boiled Peanuts- A fantastically quick and easy way to make this loved southern snack. 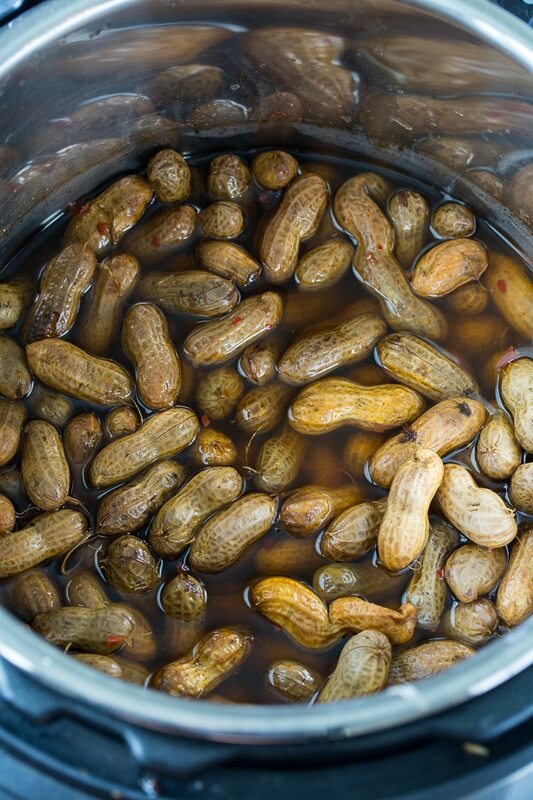 Typically boiled peanuts are slow cooked in a large kettle for hours and hours to get them soft. Or they can be made in the crock pot. But cooking them in a pressure cooker greatly shortens the cooking time. 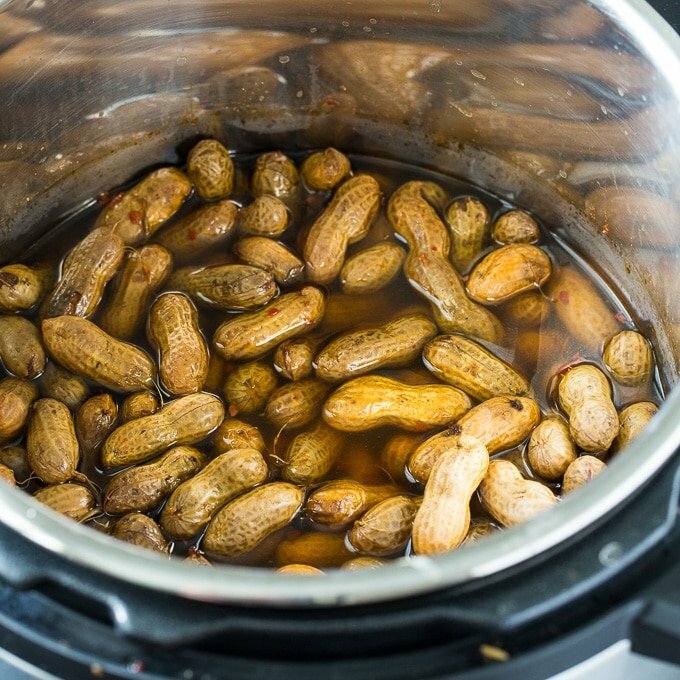 You can have Instant Pot Spicy Boiled Peanuts ready in about 2 hours. They get perfectly tender, spicy, and seasoned during that time. With a cold beer they make a great game day snack. Boiled peanuts are an important part of southern food culture and they are the official state snack of my state- South Carolina. Most people either love them or hate them. I find 75 minutes is the perfect time to pressure cook green peanuts, but you could go a little longer, especially if you like them really soft. It’s important to use green peanuts if possible. They are fairly easy to find this time of year in the South. Green peanuts are peanuts that are harvested early. They still have some moisture in them, which allows them to cook faster. You can use peanuts labeled “raw” peanuts, which are dried peanuts, but they need to be cooked longer. 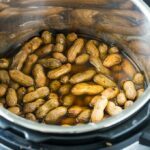 Instant Pot Spicy Boiled Peanuts- A fantastically quick and easy way to make this loved southern snack. These spicy peanuts make a great game day snack! Place peanuts in the Instant Pot. Add salt, red pepper flakes, and seasoning. Add water to cover the peanuts. Place the steamer rack for the Instant Pot on top of the peanuts to help weight them down. Place lid on Instant Pot, check to see that the valve is in "sealing" position. Set to "Pressure Cook" for 75 minutes. Let do a natural pressure release for 30 minutes. Open the valve to release any remaining pressure and remove the lid. If using peanuts labeled "raw" they are fully matured and dried. Soak them overnight and then Pressure cook them for 90 minutes for best results. This entry was posted in Instant Pot and tagged peanuts. Bookmark the permalink. I have 2 pounds of roasted peanuts in the shell. Can i still instant pot my peanuts for this recipe? If so, for how long? I have the same situation. Did you end up trying? It is not clear if we need to pressure cook in High or Medium for 75 mts? I really can’t take the salt with my blood pressure. I was eating so many batches it was causing my blood pressure to burst and I had sudden nose bleeds. I do my setting at high pressure for 80 minutes as I am too impatient to wait for slow release and I push the tap to bleed it off. My recipe is 1/4 cup of salt with a quick cold bath rinse to flush excess salt out and I through in a nice tablespoon of minced garlic for some good flavor. It’s darn perfect for the tastes of a southern boy growing up eating bags of the stuff made roadside in big pots. Good memories. Can’t wait to try these but I have to say a pound and a half of peanuts simply isn’t enough for our family. Can you tell me how much to increase the cooking time if I were to double or even triple the recipe size? If you were to double or triple the size you wouldn’t be able to put them in your insta-pot. Just do a few batches before anyone gets home. It’s pretty quick considering what you’re doing.